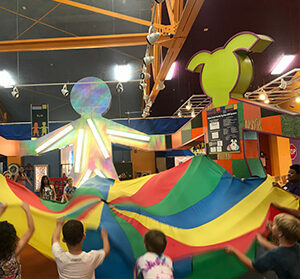 We offer many fun day camps and after school programs. 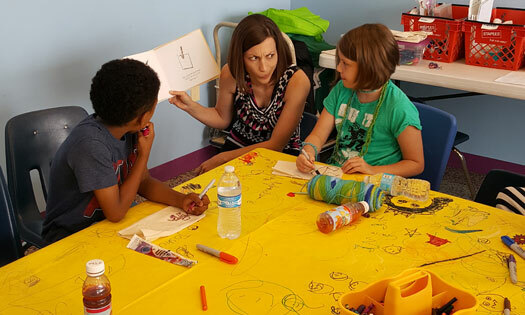 Through these programs we provide lots of options for kids to learn more about the things they like! 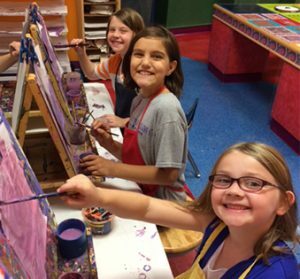 Learning and fun beyond the galleries! 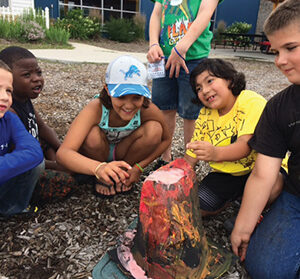 Your Mid-Michigan Children’s Museum offers several popular camps and after school programs throughout the year. 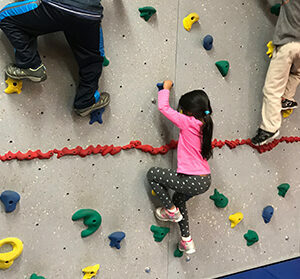 Whether you’re looking for a way to keep the kids busy over summer, spring or winter break or searching for a fun after school program, we offer a wide variety of options built around your kids that are entertaining and educational. We also partner with other community organizations to develop new and exciting camps. Contact us to explore the possibilities. Discover what we have planned! What would your day be like if you were a secret agent, paleontologist or fashion designer? What if you could read coded messages, camouflage yourself to be almost invisible, or create culinary masterpieces? Check out the camp and after school program descriptions below. Session II: June 18 & 19 from 1 to 4 p.m. Toddlers and their grown-ups will be making friends and bonding during circle time, music fun, crafts and free play. Come play and learn together! $25 members/$35 non-members | Sign up today! 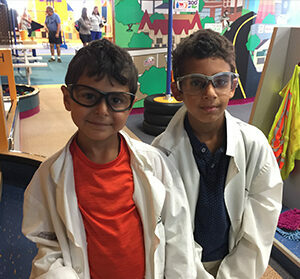 Ages 5 to 7: June 25 to 27 from 9 a.m. to 4 p.m.
Ages 8 to 10: June 25 to 27 from 9 a.m. to 4 p.m. Your chef will get hands-on experience making kid-friendly recipes and experiment with mystery ingredients. Learn how to use fractions and measure while getting to make tasty treats. Put on your apron and chef hat and get ready to try new things. Bon appétit! $75 members/$90 non-members | Sign up today! July 9 to 11 from 9 a.m. to 4 p.m. Pack your bags for an out-of-this-world adventure and discover the wonders of space and our solar system. See the stars and constellations up close, learn about and create different rockets, and see the power of the sun and moon. 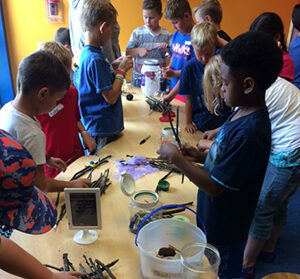 July 16 to 18 from 9 a.m. to 4 p.m.
Use all your creative talents at our colorful camp: make your own instruments, create museum worthy masterpieces, learn to play the keyboard, perform a world class concert and nurture your artistic spirit. July 23 to 25 from 9 a.m. to 4 p.m.
Take the LEGO challenge and see if you can design an empire or engineer a sturdy bridge. 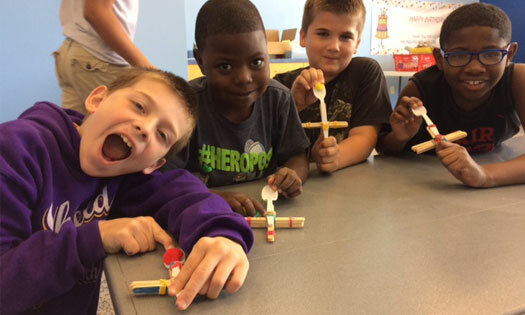 Explore STEM-concepts while you design and build an exploding LEGO volcano and launch objects with your own LEGO catapult! July 30 to August 1 from 9 a.m. to 4 p.m.
From revolting to spine-tingling, test your resolve in this camp. Try out crazy foods, navigate blindfolded through an obstacle course and test your limits with daring challenges. August 6 to 8 from 9 a.m. to 4 p.m.
Do you know what you want to be when you grow up? Join us in a career quest to learn about jobs in places you may have never thought of and some that you probably have. The possibilities are endless to what you can become! August 13 to 15 from 9 a.m. to 4 p.m.
It’s a bird, it’s a plane … it’s a CAMPER! Develop your superpowers, disguise your true identity, train your body to be fit to face villains, and test yourself with supercharged challenges. 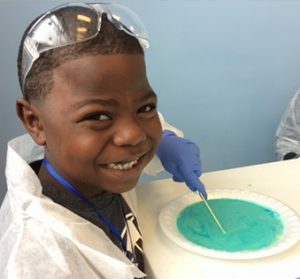 August 20 to 22 from 9 a.m. to 4 p.m.
Science is always fun, but sometimes it’s gross, dirty and messy too! 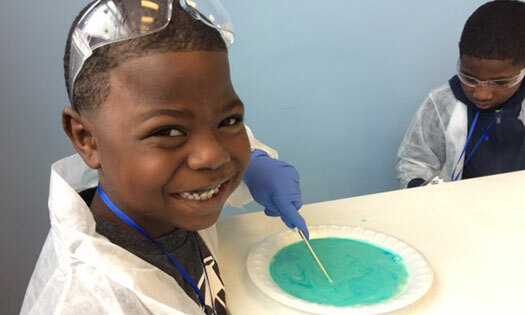 Create super slippery bubble solutions, make a volcano erupt and mix up your own batch of stretchy snotty slime! Don’t forget that members receive a discount on camp registrations! 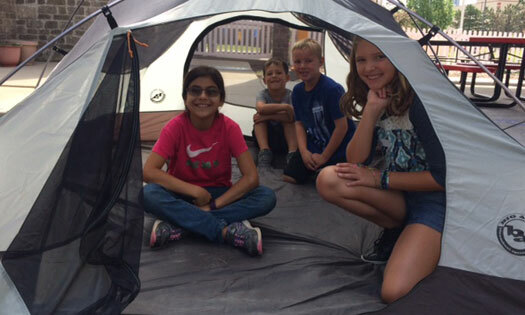 Plus, generous donors have made camp and after school scholarship assistance available. Ask us if you qualify.